The old saying “a picture is worth a thousand words” is no less true today than it was decades ago, even though that simple picture has been replaced by myriad types of imagery. Humans are visual creatures, and many of us just absorb and understand information better when we receive data visually/graphically. That’s the fundamental premise that helps make data modeling so very useful for financial marketers. Data modeling works because it is a visual representation of quantitative data that we can use to identify, analyze, and exploit interactions between data profiles. It allows us to compare and analyze sets of data, identify correlations and make educated interpretations and predictive assumptions — all capabilities that are particularly useful in customer acquisition. In our new whitepaper, Supporting Customer Acquisition Through Data Modeling, we explain in more detail how to use data modeling to achieve marketing objectives like customer acquisition. Many of the subject areas we touch on are worth a deeper dive, so let’s take a look at how data analysis works in relation to data modeling. While it’s true that you can slice and dice data in countless ways, for purposes of data modeling it’s useful to look at the five fundamental types of data analysis: descriptive, diagnostic, inferential, predictive and prescriptive. They’re a lot more interesting — and versatile — than the names might imply! Descriptive analysis is the starting point for data modeling. The purpose of descriptive analysis is to define and describe the primary attributes of the subjects in a dataset. 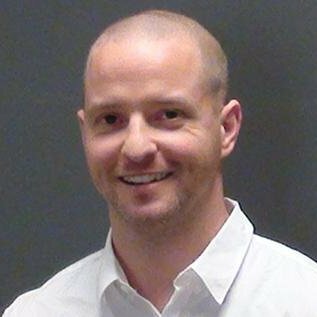 In the case of data modeling for customer acquisition, those subjects are your prospects. We might look at a variety of data points, such as account distributions, average balances, household characteristics, branch statistics, small business information and cross-sell ratios, to analyze the likelihood our prospects would be open to a particular sales pitch. We can also use this data and analysis to predict how likely a prospect is to take the desired action based on that sales pitch. For example, we might use descriptive analysis to look at recent life events such as a marriage or job relocation to predict who’s in the market for a mortgage. The next step in numbers crunching is diagnostic analysis. By using variables and known quantities, we can manipulate the data to explore the things we don’t know. For example, we might look at product correlations, customer profitability, demographic clusters, and segmentation to model the correlation between certain age groups and their probability of interest in products like auto loans or mortgages. Inferential analysis helps us draw conclusions by comparing sample sets of data against broader data sets. By making these comparisons, we aim to be able to create a degree of confidence in estimates we make related to the data. For example, examining account attrition data and quantitative customer data, we can use what we know of current customers to help predict not only their likely behavior but the possible actions of prospects who share their demographics. We can make valuable predictions about who is likely to become a profitable customer, lifetime value, and account survival. Predictive analysis draws on historical data to help us forecast probable future outcomes. We can look at customers’ previous behaviors to predict how they are likely to behave in the future. For example, we can look at how frequently males between the ages of 25 and 35 take out new auto loans to predict whether a 28-year-old male prospect who’s in the third year of a five-year loan is likely to be looking for a new vehicle and a new loan. Everything comes together in prescriptive analysis. Using mathematical and computational science, we can use prescriptive analysis to take advantage of what we’ve already learned from descriptive and predictive analysis. This type of analysis takes what we anticipate will happen and adds more predictive qualities, such as when the predicting behavior will happen and why. What’s more, this type of analysis lets us extrapolate possible courses of action based on our predictions, and optimize the data to decide which course is the best one for the objective we want to achieve. Of course, you’ve probably heard another adage that people sometimes apply to data analytics: you can make the numbers say anything you want. To some extent that’s true. You can take totally disparate data sets and use analytics to pair them up and make inferences. 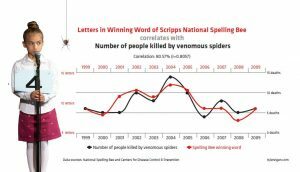 For example, we can chart a comparison between the number of letters in winning words of the Scripps National Spelling Bee and the number of people killed by venomous spiders between 1999 and 2009, but that doesn’t mean the more letters there are in this year’s winning word the more you should fear encountering a Black Widow in your backyard. Just because you can draw a comparison between data sets doesn’t mean you should. When conducting data analysis, remember no data is ever absolute. It’s important to question everything and look for correlations and comparisons that make sense, not just those that are possible and apparent. Learn more about this by downloading our white paper, Supporting Customer Acquisition Through Data Modeling.